But Is Silicone better than EPDM? Let’s start with an overview of each, then find out. What’s more important to consider before deciding between the two? Once you have considered each of these factors, you can be sure the material meets all your desired criteria and has the properties you require. There really is no ‘better’ choice of materials when it comes to Silicone and EPDM. When it comes to your requirements, both have a place in the market for industry uses. Therefore, it’s essential you make an informed decision based on price, strength, properties and so on. This post is a guest submission from Vital-Parts, a plastic and rubber component distributor located in Charing, Kent. I really appreciate for sharing such information about silicone rubber here, there are many people who is not aware about the use of it. We have an issue on a project where we are now trying to differentiate between supplied epdm and silicone. We have both products in black. Can you offer guidance for a burn / tear test that we can perform to see if the supplied silicone is in fact silicone, and not accidentally supplied with epdm? Thanks for reading our blog post and reaching out about our testing capabilities! 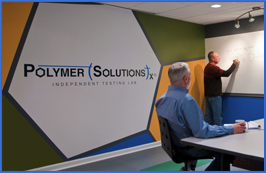 I invite you to contact us at info@polymersolutions.com. One of our technical experts can assist you in coming up with the best approach to solve your problem! great post, i really like reading you blog keep sharing it. This is very handy information. I think epdm is more versatile rubber but i wonder why silicon is more expensive. Really interesting, Thanks for the information. Which rubber will not swell or perform better in a fluid containing silicone? I once had an issue with silicone rubbers swelling on a liquid solution with silicone, but never knew if the silicone fluid on silicone rubber interaction was the issue. 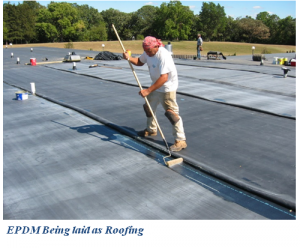 Just changed to EPDM because it is resistant to a wide range of chemicals and is resistant to swelling. Both materials; Silicone & EPDM have some unique quality and uses to redefine the lifestyle, but silicone has an edge over EPDM as you mentioned above. Thanks for the detail information on silicone rubber & EPDM Rubber. Is it the epdm good for isolation of flat roof or not can somebody tell me? And could you explain PU, Epoxy and Acrylic please.